petition: Congress Must Protect Special Counsel Mueller From Being Fired! Congress Must Protect Special Counsel Mueller From Being Fired! No one is above the law. That's the message we have to send to Donald Trump by keeping the investigation into his campaign's misdeeds going, especially now that he's fired former Attorney General Jeff Sessions. It's all in pursuit of keeping him and his family safe from prying eyes or public scrutiny. In January, we found out that Trump crossed a terrifying line in the sand — something that both Republicans and Democrats agreed would be unacceptable. That is: He tried to fire Special Counsel Robert Mueller last June. We all feared this would happen. Trump feels vulnerable and threatened by Mueller's investigation, and we know he doesn't take kindly to being scrutinized. But firing the special counsel would be a huge blow to constitutional checks-and-balances and be a frightening overreach of power. In the beginning, members of Congress from both parties said Trump could not, must not, attempt to fire Mueller. Senator Lindsey Graham (R-SC) even said, "Any effort to go after Mueller could be the beginning of the end of the Trump presidency." And yet, Republicans in Congress have suddenly decided it doesn't matter. What was once a red line is now seemingly insignificant. According to Republicans, this matter isn't "urgent" and they don't care. We need to remind them: The sitting President of the United States is under investigation for both collusion with a dangerous foreign power, and obstruction of justice into that investigation. These are serious charges and must be resolved satisfactorily if we are to restore trust in our democracy. There is no universe in which attempting to fire the special counsel is acceptable. Congress has the power to safeguard our democracy and the investigation. It must pass legislation to prevent presidents from firing special counsels, including Robert S. Mueller. Last night, Democrats regained control of the US House of Representatives, meaning Trump is finally going to face some real oversight. That's why, just hours after the elections, he fired Attorney General Jeff Session. This is nothing but a blatant attempt to obstruct Special Counsel Robert Mueller's investigation into the Trump campaign and Russia. 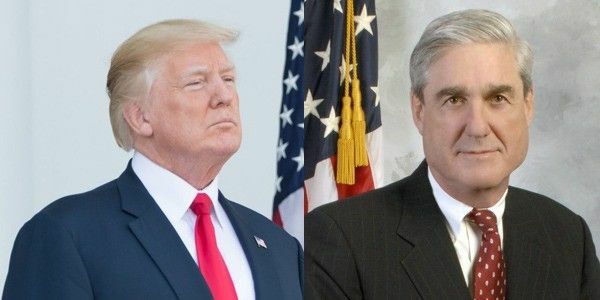 We must tell Congress to protect Mueller and prevent a constitutional crisis! Please share this petition with your friends and ask them to sign! Earlier today, the FBI raided the office of Michael Cohen, President Trump's lawyer, after a trip from special prosecutor Robert Mueller. Trump immediately called the raid a "disgrace" and said that many people have suggested that he fire Mueller. We can't let Trump threaten democracy any more than he already has. Congress must act now to protect Mueller! Trump just got one step closer to firing special prosecutor Robert Mueller. In the wee hours of Friday night, Attorney General Jeff Sessions fired the former deputy director of the FBI, Andrew McCabe. Immediately afterwards, Trump's lawyer gloated, issuing a statement in which he "prayed" that Mueller's Russia investigation would be shut down. We are now one step away from a total obliteration of checks & balance and separation of powers. Congress must take action now!